From sealants, wound products, packaging tools and custom made cuts, Hydro Silica offers a complete selection and expertise for all your industiral needs. Hydro Silica has developed tailor-made units for industrial cleaning and pipe cleaning to suit your needs. Hydro Silica will provide you with a free estimation and diagnosis of your needs with a short turn around time. 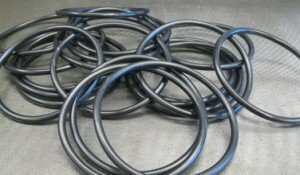 An Gaskets manufacturer and distributor company in Ottawa dedicated to providing custom gasket products and services since 1938. Its field of industrial and commercial expertise allows it to offer a varied range of products and services that will meet your specific needs. Aware of the competition in the industry, the company is known for its competitive prices and fast service. In addition to offering reputable products and services, the Hydro Silica Team provides its customers with a personalized service, from the analysis of your sealant needs to the delivery of products, all through a free estimate. Hydro Silica offers a wide range of sealant, custom gasket products, spiral wound products, specialized tool kits and related products while providing a service to match the quality of these products. The company is known for its competitive prices and fast service. In addition to offering reputable gasket products and services, the Hydro Silica Team provides its customers with a personalized service, from the analysis of your sealant needs to the delivery of products, all with a free estimate.